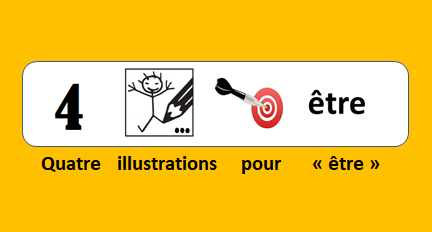 Click here to read the French version specially designed for teachers of French as a foreign language. Haga clic aquí para leer la versión en español especialmente diseñada para estudiantes. If you want to count in French, you will have to do gymnastics with your brain. And you have to do this gymnastics regularly. It is necessary to practise comprehension or expression as often as possible so that it becomes an automatism. But counting in French is a pretty tiring sport for two reasons. • all French speakers (France, Belgium, Switzerland, Quebec) do not count in the same way. In this article, I will give a rather analytical presentation of the different ways to count from 0 to 99 in French. It will be very pleasing to those who have a fairly mathematical mind, and it will appeal less to others, but for whom I propose videos to learn to count. All French-speaking countries agree to count with one voice from 0 to 69. This concerns the numbers from 0 to 20. This base is indispensable to be able to count beyond 20. Hence the extreme importance of mastering these words. It can be said that, for base 1, there is no rule, but it is necessary to ‘simply’ learn 21 vocabulary words. We can say that, for base 1, there is no rule 1, but it is necessary ‘simply’ to learn 21 words of vocabulary. Two good things to remember: 1) We notice the roots ‘trois’ (three), ‘quatre’ (four), ‘cinq’ (five) and ‘six’ (six) of these tens. 2) The finals of these tens have the nasal sound ‘-ante / -ante’. Being aware of this reinforces the learning of these words. Be sure to write a hyphen (-) between each word. The exception that confirms the rule: for the 21, 31, 41, 51 and 61, one cannot settle for a juxtaposition; It is necessary to add the rule of the addition that of the ‘-et-un-‘ (and one). So to count in French from 0 to 69, you have to know 25 words and 2 rules. So far, counting in French is not very difficult. But from 70, there are cultural differences between countries like France and Belgium or Switzerland, and combinations that require heavy mental gymnastics. After the tens trente (thirty), quarante (forty), cinquante (fifty) and soixante (sixty), for 70, the logic should invite us to produce a word with a french base ‘seven’ and the ending ‘-ente / -ante’. The Belgian and Swiss French spreakers have this logic, since they use the word septante (seventy), and they are actually pursuing the universal system 2 seen previously. Unfortunately if you learn French in France (or in a French Institute, a French Alliance) or in Canada, you need to learn another system. You have to continue after soixante-neuf (sixty-nine), by soixante-dix (seventy). Because 60 + 10 = 70. In fact, arrived at 60, it is necessary to add to 60 the numbers 1 to 19. Two remarks: 1) The rule of ‘-et-un-‘ (and one) has been more or less applied with 71 = soixante-et-onze. 2) From 77 to 79, there is a triple addition; 78 = 60 + 10 + 8 = soixante-dix-huit. This mental math gymnastics is a difficulty that is added to learning (expression and understanding). And if you want to count in French from France, it is essential to master the numbers from 1 to 19. So to count in French from France from 0 to 79, you have to know 25 words and 3 rules. But in French from Belgium and Switzerland from 0 to 79, you have to know 26 words and 2 rules. If we continue the logic of the universal system (from 21 to 69) and the Belgian and Swiss system (from septante (seventy) to septante-neuf (seventy-nine), it would take an ‘eight’ base (for the ten) to add units 1 to 9. Only Swiss Francophones pursue this logic using huitante (eighty). For example: 83 = huitante-trois, 86 = huitante-six, 89 = huitante-neuf. Easy ! But this is unfortunately only used in Switzerland, because in France, and even in Belgium, they count from 80 to 89 differently, and this is the puzzle for learners. In addition to … the addition, these French native speakers use the multiplication. So: 80 = 4 x 20. And so 80 is written in French from France and Belgium: quatre-vingts! Then they apply the addition by adding the units. We are in the middle of arithmetic! So to count in French from 0 to 89, you have to know 25 words and 4 rules. To count in French from 0 to 89, you need to know 26 words and 3 rules. To count in French from Switzerland from 0 to 89, you need to know 27 words and 2 rules. Finally, from 90 to 99, a new cultural difference is needed. Belgian Francophones rediscover the logic of the Swiss system: a simple addition of a new ten (nonante, on a ‘nine’ basis) and units (from 1 to 9). So to count French in France from 0 to 99, you have to know 25 words and 5 rules. To count in French from 0 to 99 in Belgium, you need to know 27 words and 3 rules. To count in French in Switzerland from 0 to 99, you need to know 28 words and 2 rules. Personally, I will not worry about using a single system after 20. But many people love these complications. 4. What to do? What do you need to learn? What to do ? First of all keep a cool head in front of these cultural differences and lexical complexities. What do you need to learn? It depends on your location, demographic data and your goals. 4.1. What is your geographical location? If you live in French-speaking Belgium or if you want to settle there to live normally and integrate, I advise you to learn the Belgian system. Same thing for Switzerland with the Swiss system. Same thing for France and its complex system. … in France of 66 million, which must be added to the 10.9 million of francophone Canadians who count as the French. It is therefore nearly 77 million speakers who use the complicated way, and only less than 14 million speakers who use the Swiss or Belgian way of counting. And I do not take into account the French colonial history which greatly increases the numbers in favor of the French way of counting. 4.3. What are your goals ? If your goal is to learn French from France, you know what you need to do. If your goal is an installation in Belgium or Switzerland, you also know what you need to do. If your goal is to understand French all over the world for economic reasons, for example, learn to understand all systems. Learning French numbers from 0 to 99, whatever the system, requires regular gymnastics to achieve automation. Here are some good practices to facilitate this learning. • have fun saying in French all the numbers you encounter in your daily life (date, time, phone number, price of your shopping, etc. • use all the resources available on the internet, like the many videos available on YouTube (those in music by Alain Le Lait are perfect for young beginners). Advanced learners can view the excellent video of Karambolage “les nombres Français” (French numbers) which clearly explains (in French) the different systems and the origin of the different ways of counting (https://www.youtube.com/watch?v=AisR8Cq6c6M&feature=youtu.be). ⇒ practice French numbers daily (this is the best way to automate them). Do you know the numbers from 0 to 20? Test yourself with a dictation … Click here. And the numbers from 60 to 79 ? Test yourself with the other dictation… Click here. ¡Hurra! 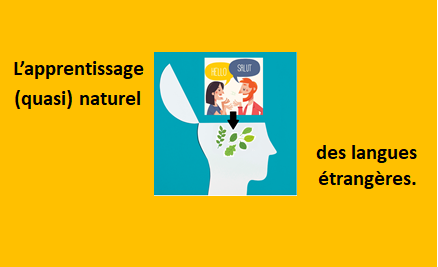 ¡ El Français illustré = 1001 frases!